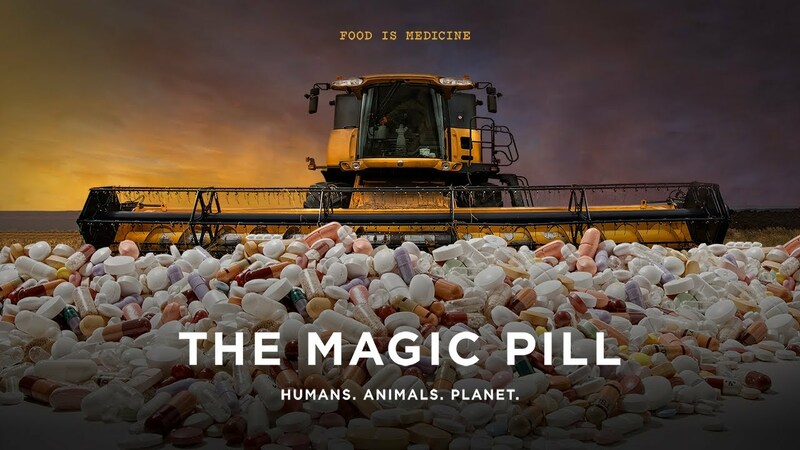 This is a very interesting and informative article by Ross Walter and his Review of the food & Health documentary “The Magic Pill” published on the 2nd August 2017. If you would like to discuss the ketogenic diet in further detail, please give me a call. On Monday 31st July 2017, I was invited to attend a private screening of the new food and nutrition documentary “The Magic Pill”, and be an expert on the panel afterwards to answer health and nutrition questions from the attendees. Perhaps the title is a little vague at first, but the message becomes clearer as you progress through the film, produced by Rob Tate and Pete Evans (Australian celebrity chef and Paleo nutrition advocate). The film introduces us to several people of differing ethnicity and their families, and a warts and all look at their health issues, medications, and their concerns about their health. We looked at Caucasian Americans, African Americans, Native Americans, and a large community of Indigenous Australian Aborigines in Arnhem Land. All had many chronic diseases, including many “20th Century conditions” of over-consumption, including type 2 diabetes, heart disease, high blood pressure, obesity, liver and kidney disease, asthma, and cancer. We also followed the stories of a young girl and boy with severe ADHD and intellectual development issues who were non-verbal and showed a lot of typical behaviours of being on the autism spectrum, which was very stressful for their families. The Yolgnu people in Arnhem Land were particularly interesting, as they recalled their parents and grandparents all being very fit, strong, having great teeth and in excellent health while living their traditional ways and foods. Then white man came with their western/modern foods. They were now living on “modern” foods of breakfast cereals, breads, damper, jam, orange juice and coca cola… As a result, their health was very poor, life expectancy very low, and they couldn’t see how they could change this. But along came a charity called “Hope for Health” with selfless health professionals with a program which incorporates their traditional medicine and diet, exercise, detox retreats, nutrition and cooking workshops and support. In a few short weeks, they turned their health around and this gave them hope! You could see the relief and improvements in their eyes and faces again, and it was beautiful to see! For more information on this charity and their work, please visit https://www.hopeforhealth.com.au/ and consider a donation to help these wonderful people. It was obvious that the “modern” food pyramid and government food guidelines does not work for everyone (or “anyone”, it could be argued), especially indigenous populations. One reason that the guidelines are not working is due to the huge amount of influence the food industry companies have in these guidelines, through “sponsorships” of various health advisory groups, and their deliberate funding of biased “research” simply confuses the public and maintains the current situation. These sponsorships are openly listed on their respective websites. From my experience in clinical practice (as a Nutritionist and Naturopath), people from non-Western ethnic backgrounds improve their health so much by returning to their traditional diets, which typically includes plenty of seasonal vegetables, some fruits, organ meats, grass-fed/wild caught meats and healthy fats – eggs, nuts and seeds, and the occasional fast. This became the theme and purpose of the film – to educate and empower people to return to health using traditional nutritional medicine and cooking techniques, while avoiding the health dangers in processed foods. Various scientific, medical and nutritional experts were interviewed and contributed to the film, including Dr David Perlmutter (“we should eat natural foods, not scientised foods”), Dr Rangan Chatterjee (“the question that all doctors should ask patients is ‘what are you eating? '”), farmer Joel Salatin (“90% of cattle in the USA are fattened up in feedlots, being fed GRAINS” – yet they are supposedly healthy for us? !, and “a sick environment causes sick crops, which causes sick animals, which causes sick humans who eat them”), South African scientist Professor Tim Noakes (the South African dietetics association filed a complaint against him for giving Low Carb High Fat diet advice, but he won, due to the amount of scientific evidence supporting the LCHF model ), and more. I do not agree with the current food guidelines (which is quite disappointing as a Nutritionist, but it is a decision based on evidence), and I recommend a similar food model for my clients, being a “low inflammation” nutrition program, which is a slight variation of the LCHF/ketogenic/Paleo model. I don’t believe, however, that a high intake of meat/protein or healthy fats should be the most consumed food group. Vegetables should be – preferably raw, fresh, seasonal and organic as much as possible for their wide nutrient content. Grass-fed meats and “healthy fats” (not so much “High Fat”, which is open to abuse or extreme diets) should come next, with processed or refined carbohydrates such as sugar, grains and grain products coming a distant last in quantity, or even avoided (as there’s no nutrients in grains which can’t be obtained from other food groups!). A LCHF/Ketogenic diet can reduce chronic disease symptoms by reducing inflammation, reducing cholesterol and blood sugars, and normalising blood lipid levels and the body’s response to insulin. These changes can help to reduce weight, reverse type 2 diabetes, improve mental health, reduce autism symptoms (both children became vocal, more responsive and better behaved in a few short weeks! ), greatly reduce or even eliminate the need for insulin for T2 diabetics, improve energy, improve brain function and cognition, and reduce many other chronic disease symptoms! If you are interested in food, health, nutritional medicine, or wanting to reduce your chronic disease symptoms, please have a look at this film! I recommend watching for its emotive, educational and empowering message, that nutritional medicine can be “The Magic Pill” to many of our current health epidemics many people are dealing with personally. If the movie can inspire just one person that there is hope in having better health and a better quality of life, the film has achieved its purpose! Many thanks to all those involved in the film, for raising awareness and hope in many! Once you are ready to make some changes yourself, please consult with an experienced Nutritionist or Naturopath to help personalise a plan for you, as your current health conditions, lifestyle, medications and other factors may need to be taken into account. I’d love to help you achieve your health goals! “The Magic Pill” screenings are continuing around Australia at the moment, and I believe will be coming to Netflix soon. Please look out for screenings in your area, or if you would like to organise and host a screening in your area, please contact www.Fan-Force.com to make arrangements! sound like you know wyat you’re talking about! I belkieve what you ssaid made a great deal of sense. But, think about this, what if you wrote a catchier title? a title that makes people desire more? I mean Review of thhe Food & Heazlth Documentary "The Magiuc Pill" – PT to You is a little vanilla. how they write article headlines tto grab people interested. geet people interested about everything’ve got to say. You made some decent points there. I looked on the net for that problem and discovered most people will go coupled with using your web site. simply shared this useful iformation with us. Please stay us up to datye like this. Thanks for sharing. Amazing! Its truly awesome article, I have got much clear idea about from this piece of writing. only about gossips and internet and this is really irritating. A good web site with exciting content, this is what I need. except I know I am getting familiarity all the time by reading thes good content. your blog through Google, and found that it is really informative. New Horizons Med Spa features Microlaser Peels to help reduce wrinkles & fine lines, increase collagen production & revitalize skin. Contact us today for an appointment at our Med Spa in Chandler! Good ¡V I should certainly pronounce, impressed with your site. I had no trouble navigating through all the tabs and related info ended up being truly easy to do to access. I recently found what I hoped for before you know it in the least. Quite unusual. Is likely to appreciate it for those who add forums or something, site theme . a tones way for your customer to communicate. Nice task..
I’m looking forwrd for your nest post, I’ll trry to get the hang of it! I want to show my appreciation to the writer for bailing me out of this particular issue. had not come across such a stuff like this. I am able to now look ahead to my future. Thank you so much for this reliable and result oriented guide. your content is not solid., but what if you added a headline that makes people desire more? could peek at Yahoo’s home page and note how they create news headlines to grab viewers interested. I am adding this RSS to my email and can look out for a lot more of your respective exciting content. web site got here up, it seems good. I’ve bookmarked it in my google bookmarks. Hello there, simply become aware of your blog through Google, and located that it’s truly informative.